Breeder of The Cattle Dog, The Kelpie and The Stumpy Tail Cattle Dog for show, work or the ever faithful companion. Welcome to my site, sit back, relax and enjoy. 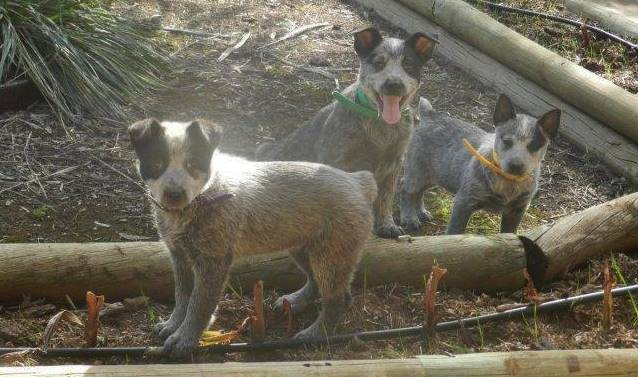 My name is Rosemary Barker from Karte Kennels and I am a breeder of Australian Cattle Dogs, Australian Kelpies, and Australian Stumpy Tail Cattle Dogs. I have been breeding, showing, and working dogs for 30 years. My job is in shearing sheds and yards where my dogs work in the dust, heat, and rain with me. On week end they are groomed for the dog shows which makes them the all round dog. It gives me great pleasure to introduce you to my wonderful dogs.